Barr Group's mission is to help all engineers build safer, more reliable, and more secure embedded systems. Our training courses are designed to strengthen critical programming and engineering skills for embedded system developers. Through these embedded systems training courses, you and your team will learn the critical skills needed to efficiently design safer, more reliable, and more secure devices in hands-on courses taught by leading experts. Barr Group Public Courses are open to all interested embedded systems engineers. * Early registration pricing ends approximately 2 weeks prior to the start of the course. All German course prices are inclusive of VAT. Prices will be discounted 20% for groups of three (3) or more. Group Discount: Groups of 3 or more from the same organization are eligible for a 20% discount. For large groups, contact us for details on setting up an on-site course. Group discounts do not apply for courses sponsored by partner organizations. To receive email notifications of future public training dates and locations, sign up here. 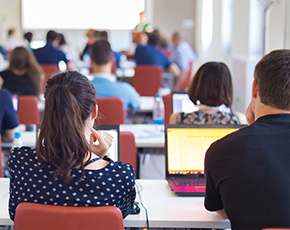 On-Site training courses are a convenient and cost effective option to bring teams of five or more engineers up to speed on the latest tools and techniques design of reliable embedded systems. Contact Us to discuss how to bring a Barr Group training course to your team. Can't quite find the embedded systems training course you need? Barr Group can customize a training course specifically for your team. Courses can be derived from our Course Catalog, and can also be combined to create larger training programs. Contact Us for more information.